We are looking for field technicians to assist with fieldwork that will run from June 1 to July 31 (with an optional extension to August 15) 2019. We are looking for technicians for the two months (June and July) or two months and a half (June to mid-August). The positions are part of a long-term study of Alpine marmot (Marmota marmota) ecology, evolutionary biology and physiology. 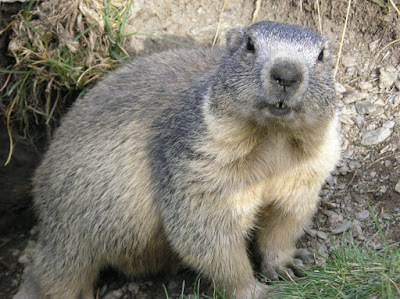 As a member of the study, technicians will be involved with monitoring the reproduction and survival of individual marmots. Fieldwork will involve live-trapping and handling of marmots, behavioural observation, and locating young in their nests. This is an excellent opportunity to gain experience working with a collaborative research team on a long-term study of a wild mammal. All fieldwork is carried at the Col du Lautaret, France. We will be staying at the Station Alpine Joseph Fournier (SAJF) located at the Col du Lautaret. All food and accommodation are provided once technicians will met the full team in Lyon / Grenoble / Briançon. Training will be provided and no experience is necessary but English for oral communication is required. Candidates should have an interest in a number of the following (the more the better! ): ecology, evolutionary biology, wildlife, field biology, and animal behaviour. The field camp is remote and low tech (internet limited), so successful applicants must enjoy the outdoors and be able to remain a positive and responsible team member under relatively isolated and demanding conditions. Candidates must be in good physical condition, have an enthusiasm for learning and a strong work ethic. If you wish to apply for one of these posts then please send a CV with a cover letter and contact details for references (optional), by email mariona.ferrandiz@uab.cat or aurelie.cohas@univ-lyon1.fr by February 15 2019 but applications will continue to be accepted for the later positions. Please also indicate the time period (two months or two and a half) you are interested in. Visit https://thealpinemarmotproject.org/ for extended details on our project!